If you have notifications enabled for a certain YouTube channel, you may have noticed the notifications don't provide much info. In fact, they only display the title of the video and what channel it came from (unless you expand the notification). 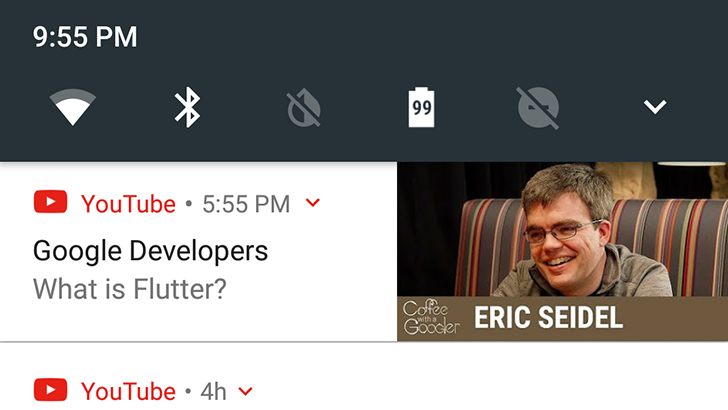 This appears to finally be changing, as some users are seeing notifications with the video thumbnail. 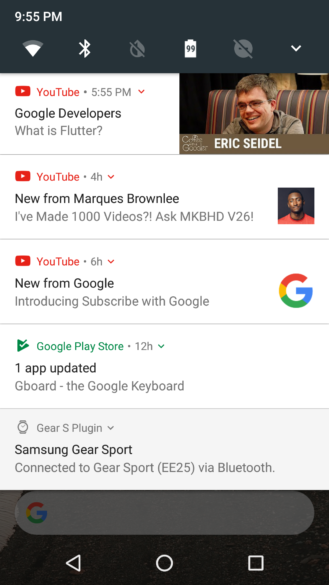 The first notification in the above screenshot has the new style, with the video thumbnail prominently featured on the right. The title also no longer contains "New from," presumably to make room for the image. I'm definitely a fan of this change, but it seems to be in A/B testing for now. Hopefully it will be rolled out to everyone soon.